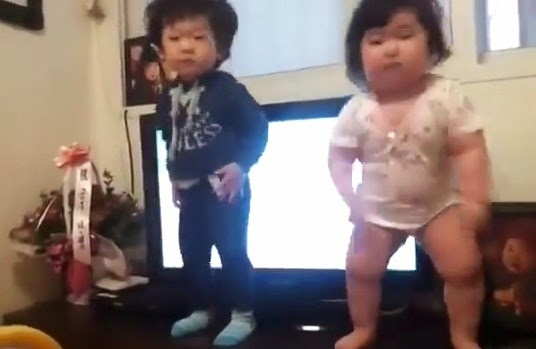 Video: Chubby Korean baby dances the next 'Gangnam Style'? It's now viral on social media, a chubby Korean baby which dances the next 'Gangnam Style'. Some netizens already tagged the video as the 'best video ever' and can exceed the achievement of Youtube King Psy. Psy is known for his worldwide hit dance video 'Oppa Gangnam Style'. The craze has a catchy music plus it features the extraordinary moves of the Korean rapper. Meanwhile, the dance video of the Korean toddler has an element of uniqueness and fresh style. Based on the video, the toddler performed the dance moves in front of a woman off-cam. The chubby girl which is active on dancing invites her companion to dance like her. The viral video which was posted on Tuesday already garnered more than 300,000 views as of posting. Watch: What a dance by a chubby Korean baby!